I received another amazing review for my book yesterday. This one came from my mom’s boss in Canada. Her words meant so much to me because my biggest fear in putting our story out there, is how people will perceive my mother. So when the one person who loved my mom like I did, read it, got it and loved it; I was so relieved. My mother was loyal with an unmatched work ethic. Putting my story into the world to be read and judged and picked apart leaves little to be desired. 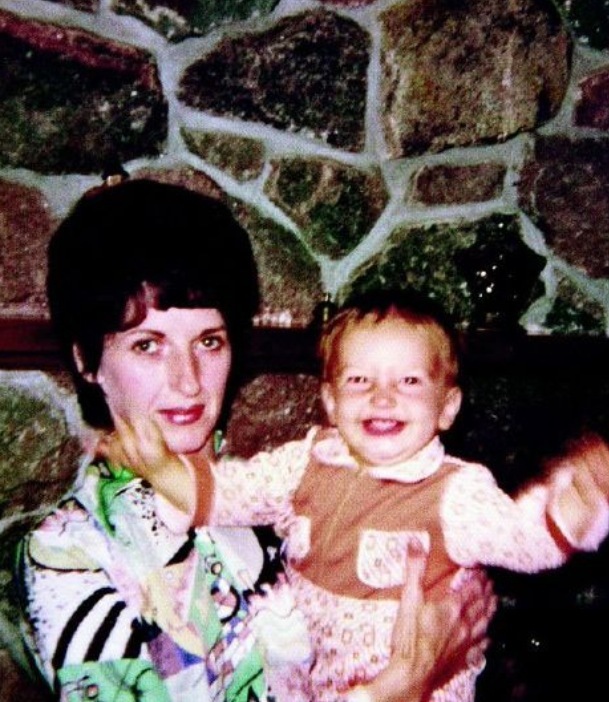 But what worries me more than anything else, is making sure I capture the essence of my mother and paint the picture of her suffering as best I can so that people prepared to sit in judgement, by the end of my book, will place it in the direction of the only person deserving of that – my father. People who hear a portion of my back story always say to me, “Where was your mother when this was happening to you?” And it hurts me every time it happens. I felt so much guilt because I used to think that too and in my teens and early twenties I placed blame on her for everything. And she never deserved it. She was a broken woman. But she was also love. She was integrity. She was loyalty personified. She was determined to never be someone else’s burden. But more importantly, she was the product of what my father put her through, and because of what she endured, she was unable to see herself as worthy and never got the support she needed. It was important for me to capture that. To ensure people understood the damage domestic violence and years of severe abuse does to a woman. How limiting poverty can be in the way it robs you of true choice and leaves you vulnerable with few options. How it strips you of every bit of wonderful and steals the life from your eyes. Even though I am proud that my words are landing in the way I intended, I understand that sometimes it isn’t possible to recover from the unimaginable hell another damaged soul inflicts, because many times, shame and fear prevent a woman from reaching out for help. So even though I am anticipating judgement, I hope that after reading our story, because in writing it, I realised it was my mother’s story as much as it was mine, my hope is that I have been able to shed light and birth compassion for a number of issues – domestic violence being one of them. I am in no way naive enough to believe that all reviews will be positive and filled with praise. I will catch my share of awful, and I am preparing for this as best I can. No one has the world as her audience and that’s ok. I need to know who I am and not be attached to the praise or the criticism upon release of this book. I understand I am holding up a very uncomfortable mirror for people. Some will rise to the challenge and make changes in their lives. Some will receive it and have their eyes open to a world they didn’t know existed. While others will choose to remain in the dark with their head safely buried in the sand. And it is all ok. So to those who will judge, I am doing it anyway because I know there are people out there who are starving for hope and stories of resilience. I am shedding a light on the underbelly of a first world epidemic we are shamed to keep silent. I am no victim and what I love more than anything hearing the feedback from those who received advance copies, is that people are getting that message loud and clear. My story is seen as triumphant, authentic, courageous and brave. I hope I can open people’s eyes wide to the insidiousness of family violence and the devastation caused by this and sexual abuse. The secret. The shame. The impact. The damage. The prison. The potential perpetuation of the cycle. But most importantly, let people know it is NOT YOUR SHAME. To get out. To get help. To find the support. To break the silence and to let the healing begin. It won’t be easy; but it will be worth it. At the end of the day, we are all responsible for our destiny and we are all worthy of love and belonging. The rewrite of our past may not be possible, but we are the only ones with the pen in our hand and a clean sheet of paper holding infinite potential to a destiny of choice. The most powerful weapon we possess is the ability to choose. Use your lived experience as lessons. Learn from your mistakes and the mistakes of others. You may have suffered but that doesn’t make you irreparably damaged. In our darkest hour our deepest insights can be gained. This entry was posted in Uncategorized and tagged #domesticviolence #silentnomore #shame #sexualabuse #childabuse #memoir #flyingonbrokenwings #courage #inspiration #truth #breakthesilence #triumph #brave. Bookmark the permalink. Carrie this is so beautifully written. You express so eloquently your compassion and understanding of your mothers journey and your own dilemma. You are wise, beautiful and courageous. Congratulations on arriving at this place and for passing the baton of hope to those who are coming to freedom in your wake. Thank you for your courage in telling your story and for standing in the arena (Brene’ Brown). Your courage is inspiring. Thank you for showing that shame is not a permanent prison and that living and healing are possible. Carrie, This is so beautifully written and your insight and wisdom is profound. Your writing is clear, your word choice uncontrived and poignant. The purpose of writing is to communicate to the reader and you have done that superbly here. Having known your mother I saw first hand her beauty, her gentle nature, and her love for her daughters. I thought she was the most gentle soul I had ever met, but I did not know her pain and agony. Sometimes the truth and the ugliness needs to be told to the world in order to lift the darkness and expose the demons for others. You have begun an amazing and heroic journey which will change lives! I love you and admire your strength, talent and courage. Well done Beautiful! Carrie, I am ordering a copy of your book, not because I’ve been through what you’ve been through, but because I have my own struggles, like everyone, and your story will encourage me, I’m sure, to keep going. Thanks for sharing your story with us! Hi Anna. Thank you so much for your encouraging words. You are absolutely right. Every single one of us is broken in some way. I’m just speaking to the possibility of rising above adversity, whatever it may be and choosing to fly on broken wings. I hope you enjoy it!